This is a rectangular Beaver County Home for the Aged porcelain sign. This particular Beaver County Home for the Aged sign has a colorful grapevine border with a black and white image of an elderly woman in the center. 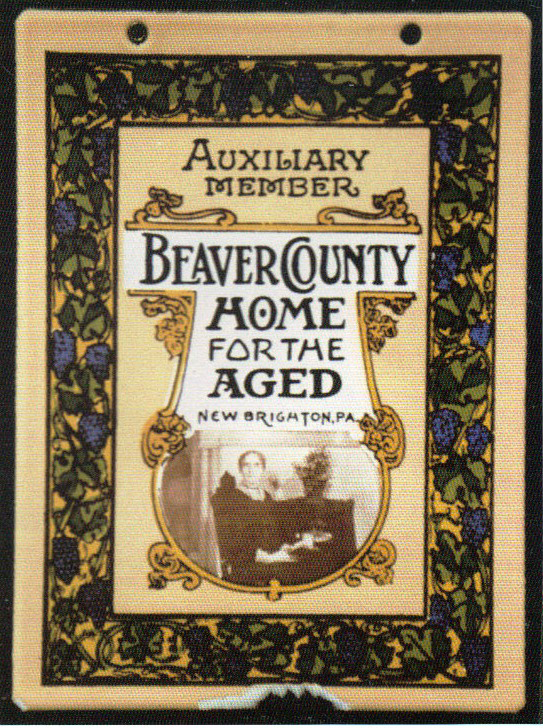 It reads, “Auxiliary Member Beaver County Home for the Aged, New Brighton, PA”.